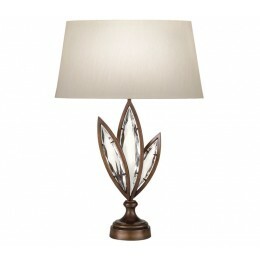 Elegant and graceful table lamp in antique hand rubbed bronze finish with hand cut faceted crystals. 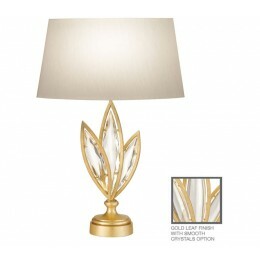 Marquise shaped laminated cream fabric shade with stream-lined, rolled-over edges. 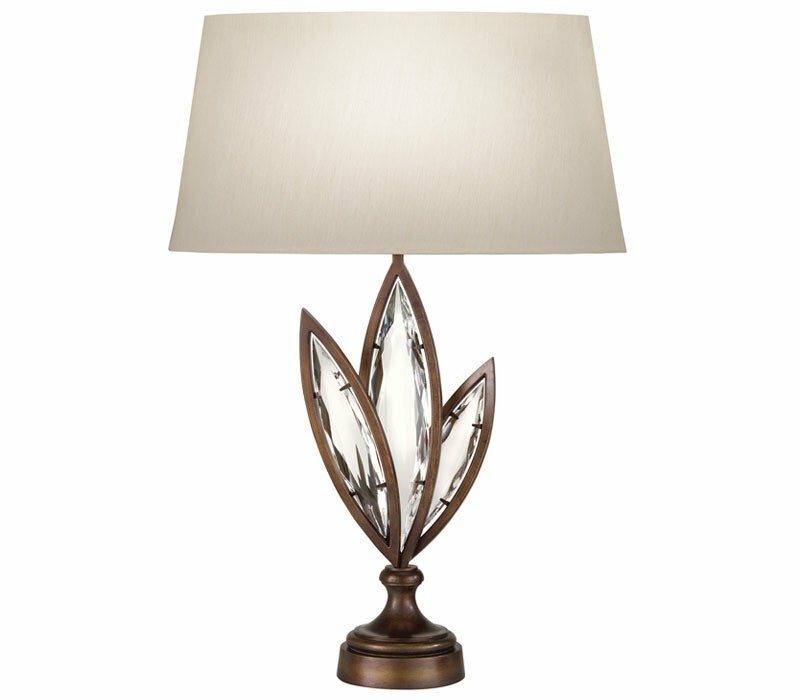 The Fine Art Lamps 854410-32 Marquise collection Table Lamps in Antique Hand Rubbed Bronze use Incandescent light output and bring Modern style. This item is 32"H. The total wattage is 100 and the voltage is 120 volts. 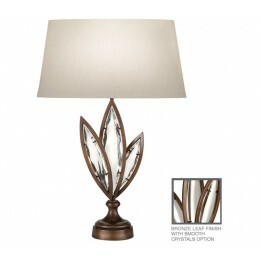 The Fine Art Lamps 854410-32 requires 1 bulb (not included). 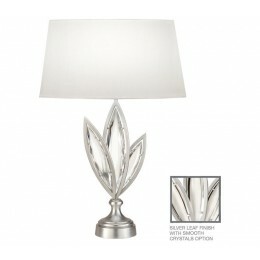 Additional Information: Shade-Laminated Cream Fabric With Stream-Lined, Rolled-Over Edges Shade; Control-3-Way Switch.